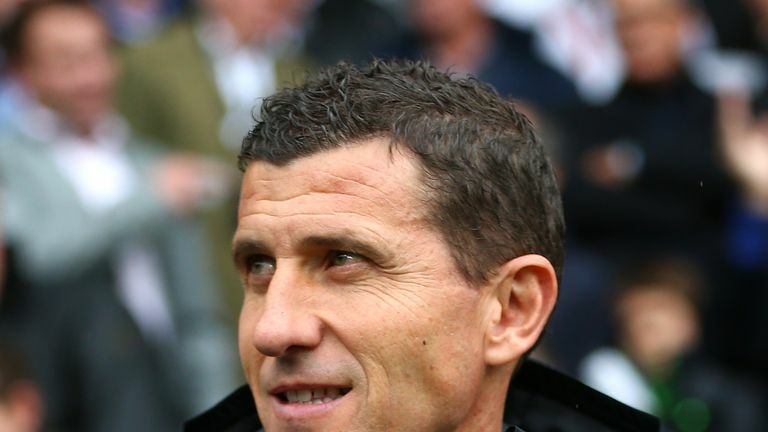 Watford head coach Javi Gracia has revealed talks over extending his contract are "going well". The Spaniard joined Watford on an 18-month deal in January following the departure of Marco Silva, and helped guide the Hertfordshire club on to a 14th-place finish. The Hornets opened the new campaign with five straight victories, four in the Premier League, but Gracia's side have not won since and were beaten 4-0 at home by Bournemouth ahead of the international break. "I'll like to be here more time because I am very settled here," Gracia told the club's official website. "I see my long-term future here and I can fulfil my ambitions at this club. We are talking and talks are going well." The former Malaga and Rubin Kazan boss added: "I feel very happy here. I feel the love by the supporters and by the club. "In football, you never know what happens in the next two weeks, but I prefer to focus on the next game, to do my job, to do my best, so we'll see." Watford return to action at Wolves on Saturday but will be without defender Christian Kabasele, who is suspended following a red card against Bournemouth. However, forward Gerard Deulofeu could be in contention to start after his return to fitness.